WIN THE ULTIMATE FISHING KAYAK PACKAGE WORTH OVER $2870! Competition now closed. Congratulations to Danny McGee who has won the ultimate fishing kayak package! With numerous storage areas and a wide and stable standing area, the Jackson Coosa is the answer to every fisherman’s needs. It’s 11’2” length and rockered hull make it the most sporty and nimble Jackson Kayak to best handle those smaller waters, especially wild rivers and creeks. The HOOK-5 combines the benefits of CHIRP Sonar and DownScan Imaging™ technology to give you a clear and complete view of the underwater environment beneath your kayak. It features enhanced sonar sensitivity, excellent target separation and superior noise rejection, making it easier to see baitfish and gamefish targets. With a built-in GPS antenna and proven navigation features, revisiting your favorite fishing spot is simple with the HOOK-5, whether you use the base map, optional upgraded charts, or your own Insight Genesis® custom maps. We don’t want to leave you up a creek without a paddle so have put together everything you need to go along with your new kayak. This includes a DL lightweight paddle, kayak trolley and Fishermans PFD; which won’t only keep you afloat but comes with all the bells and whistles, including a fly/fishing hook attachment point. Total prize package worth over $2870! 1. Employees and their relatives of Yaffa Media are not eligible to enter. 2. Competition is open to those with an Australian postal address only. 3. 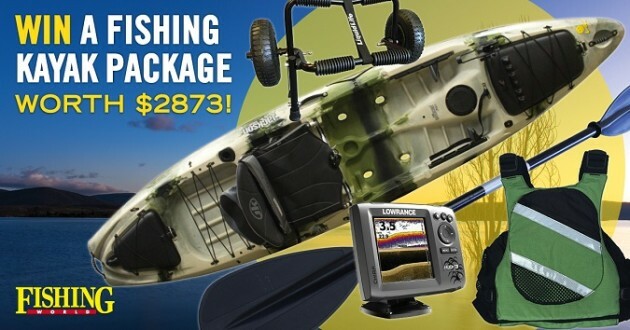 Prize package consists of one Jackson Kayak Coosa Fishing Kayak with a RRP of $1950, one Liquidlife Fisherman PFD with a RRP of $168, one Liquidlife DL Paddle with a RRP of $98, one Liquidlife Kayak Trolley with a RRP of $128 and one Lowrance Hook-5x Sounder with Med/High/DownScan with a RRP of $529. 4. Total recommended retail value of the prize is AUD$2873. 5. Prize is not transferable or redeemable. 6. Promotion commences Monday 9th May 2016. 7. Entries must be received by 17:00, Tuesday 9th August 2016. 8. Winner will be drawn by random selection at 12:00 on Wednesday 10th August 2016 at Yaffa Media, 17-21 Bellevue St, Surry Hills NSW 2010. 9. Winner will be notified within two (2) business days of the draw by phone and email. 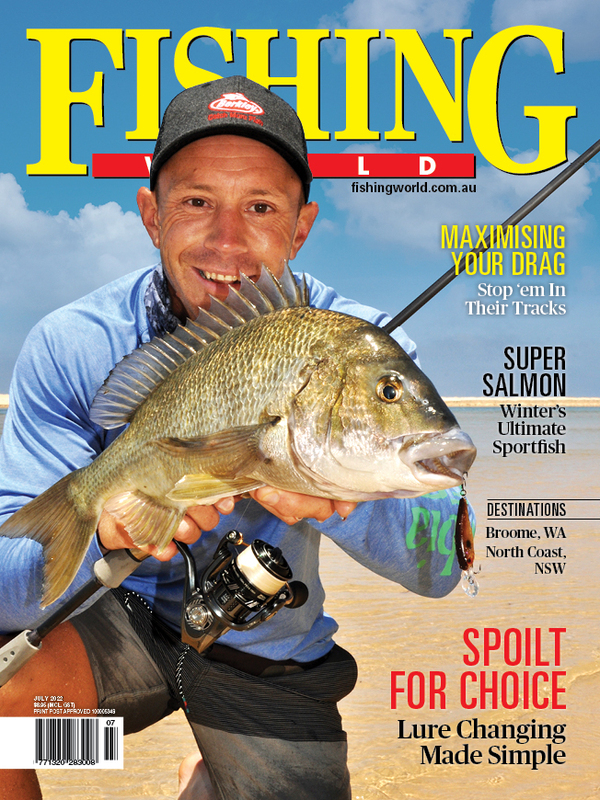 The winner will have their details published in the October 2016 issue of Fishing World. 10. If required an unclaimed prize draw will be held at 12:00 on Thursday 10th November 2016 at Yaffa Media, 17-21 Bellevue St, Surry Hills NSW 2010. 11. Winner of the unclaimed prize draw will be notified by phone and email, and have their details published in the January 2017 issue of Fishing World. 12. Details collected from entries will also be used by the promoter for compilation of a mail list. 13. The promoter is Yaffa Media Pty Ltd (ABN 54 002 699 354), 17-21 Bellevue St, Surry Hills NSW 2010.